Bullying can have long-lasting results on the bullied, and in some cases, may lead to eating disorders, according to UK Charity Beat. Bullying can have long-lasting results on the bullied, and in some cases, may lead to eating disorders, according to UK Charity Beat. A recent study of 600 people in the UK during Anti-Bullying Week by Beat found that at least 90 percent of respondents admit to being bullied at some time in their lives, and more than 75 percent of individuals suffering from an eating disorder admit bullying is a significant cause of their disorder. The researchers at Beat have found the link between bullying and eating disorders is rapidly increasing, with numbers up 67 percent since the same study was conducted two years ago. Just as concerning is the fact that more than 40 percent of respondents in the 2012 study said they were younger than 10 when they began to be bullied. Susan Ringwood, CEO of Beat, suggests the rising link between bullying and eating disorders is due to the fact that young children are more susceptible to having a negative self-esteem as a result of bullying. "We know that low self esteem can lead to eating disorders," said Ringwood. "And bullying of any kind lowers self esteem." Individuals who are bullied may turn to eating disorders in an effort to manage their stress or take control of their lives. Others simply find solace in their eating disorder. "Anorexia became my friend -- it gave me comfort and separated me from the scary world of socializing -- I didn't have anything else on my mind," said one respondent in the Beat survey. "I am now recovering but am still exceptionally controlled and rigid around mealtimes." 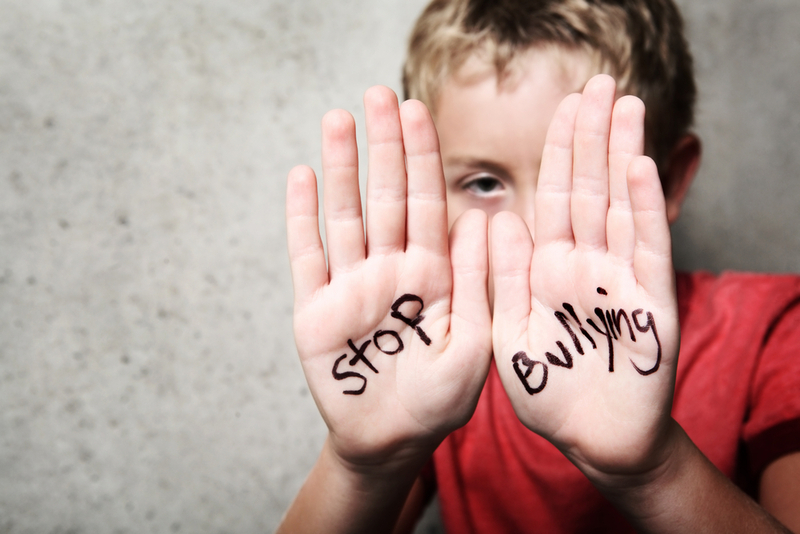 Bullying must be taken seriously, whether in schools or in the workplace. "Any increase in bullying is very worrying, especially when such young people are involved," Ringwood said. "We know how important it is for young people's concerns about bullying to be taken seriously and sorted out quickly. Schools need to make sure their anti-bullying policies are effective and used -- and not just a dusty document on a shelf." To reverse the trend in an increasing link between bullying and eating disorders, parents, educators and coaches must learn to not only recognize the signs of an eating disorder, but of bullying as well. We must put an end to bullying. If you suspect your child is being bullied, don't ignore the signs. Seek help from school administrators and counselors. Talk to your child about the bullying. Enforce a zero-tolerance policy at home, and seek the same actions from your child's school. For more helpful resources on combating bullying, visit StopBullying.gov.